There are a few caveats that I have to follow in my life: Beware of video games based on movies, don't buy wine you see advertised on TV and be leery of stage musicals based on TV or movies. Like most caveats these are wise rules to live by but also like most caveats, there are exceptions. 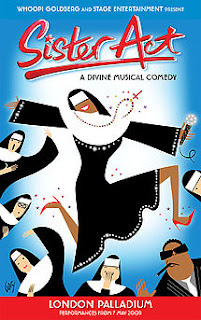 I enjoyed the video game Tron Legacy, I like the wine Piat D'Or which was once heavily advertised on TV and damnit, I liked Sister Act the Musical, currently running at the Ed Mirvish Theatre in downtown Toronto. 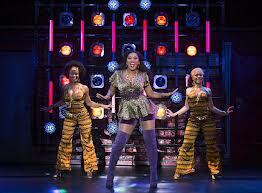 This is a musical comedy based upon the movie with Whoopi Goldberg. As we entered the theatre I couldn't conjure up any strong memories from the movie but I do remember liking it. 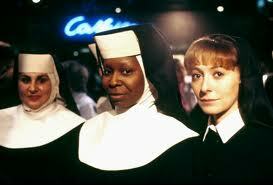 It was a comedy, it featured Whoopi at the height of her abilities but I couldn't really recall any music from it. Firstly, this play is indeed a comedy and it's damn funny. The humour comes from several points of inspiration: The traditions of the Roman Catholic church clashing with the secular world, the fashion of the play's temporal setting, 1978 (god, not one of our finest visual eras, I guess that's why there was so much pot available then) the basic tenets of romantic comedy filtered through that time period and much more. The book follows the basic plot from what I recall from the movie: A Phillidelphia dico-diva-wannabe witnesses a gangland slaying and has to go into witness protection: That being as a nun in a failing Roman Catholic inner city church. One of the things I love so much about theatre, and any live performance for that matter, is those moments that catch us by surprise; when a song or a line of dialogue is married with a performance that, although we may see it coming, works so perfectly it takes us beyond what was expected. 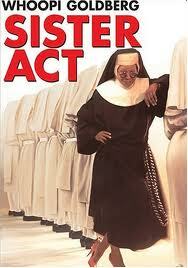 In Sister Act that moment was provided to me by Lael Van Keuren. 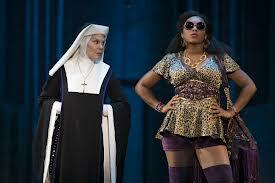 As I said, Sister Act is a "feel good" musical so there are very few surprises, everything works out in the end. 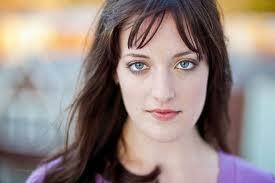 Perhaps that destination is a bit hackneyed and predictable, but the journey makes it all worth while.